Oh nobu_tary, one day you’ll stop making awesome robots and creatures, but today is not that today. Yes folks, we have another entry from a builder we regularly cover, but sometimes I can’t help myself. 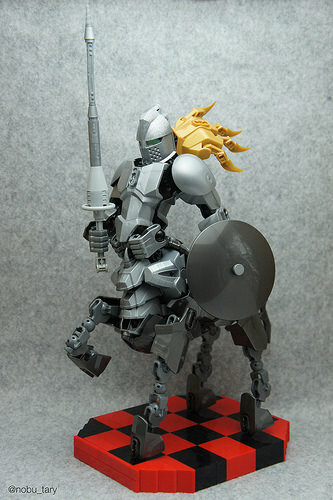 Today’s build is a knight of the mythological variety that makes great use of Constraction and Bionicle pieces. I’m continually imprssed by this system which grew out of Hero Factory in my dark ages, because you get builds like this out of it.